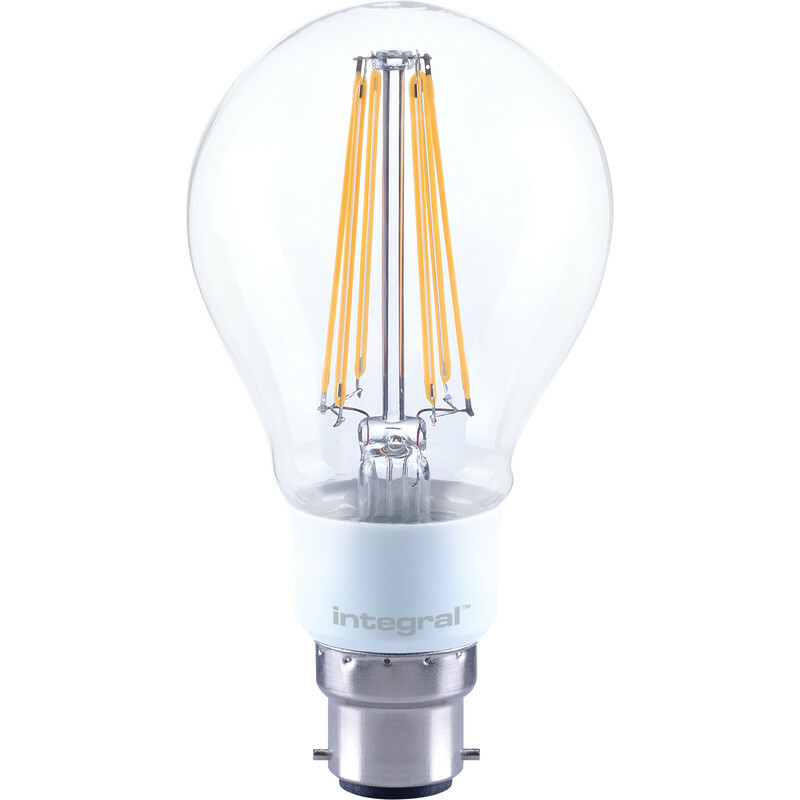 Integral LED Filament Dimmable GLS A67 Plastic Lamp 12W BC (B22d) 1521lm is rated 4.2 out of 5 by 13. Rated 5 out of 5 by morrispd from warm light, nice and bright but expensive Bought these for a specific purpose but the lamp was too long, I would have returned them but tried them in 2 kitchen pendants where I had 2 cheaper dimmable led lamps which I had changed to a switch as they didn't dim well. These were a revelation, warm, bright and dimmed well with toolstation led module. Look better and have a 360 degree beam angle compared with the lamps that have only a 180 degree angle due to casing. Why so expensive though! Rated 5 out of 5 by EricIron from Super-efficient LEDs Replaced 30 watt low-energy bulbs. Just as bright, comes on immediately and nice, warm light.